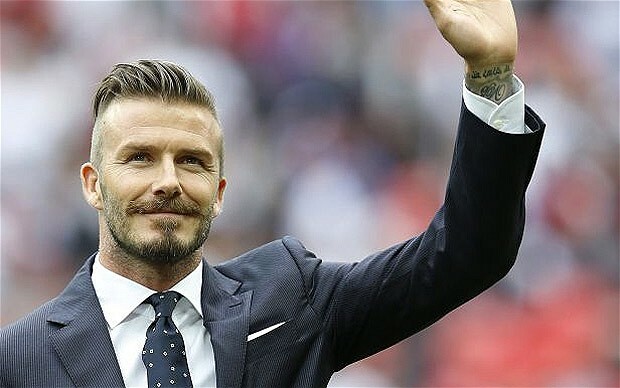 During the winter of 2007, the soccer world was shocked when it was announced that David Beckham would be joining Major League Soccer later that year. Although there had been hints of this eventually occurring near the twilight of Beckham's career, the sudden shift towards one of the up-and-coming markets in the world was nonetheless astounding. At just 31, Beckham remained in his prime to help the league get to new levels. The English midfielder joined the LA Galaxy later in the summer, after a buzz was created around the league and the country. Even CNN had him on their front page when he announced his move. And Victoria Beckham (the Spice Girl) made a reality show about moving to America. The glam was here to stay. On the pitch, things were different. Becks was plagued with injuries early on in his first games for the Galaxy, and would not show up at some of the games. This was besides the fact that every single MLS stadium was full for every Galaxy game, and most Galaxy games had been moved to the end of the season to maximize on the hype. But did Beckham really change the league and the sport in the US? Yes, definitely. First, a new type of player was added to the choices for MLS teams. The Beckham rule, it was called, and it meant that teams were allowed to have one player beyond the MLS salary cap. Enter Cuautemoc Blanco for Chicago, Denilson for Dallas, Juan Pablo Angel for New York. Just like that, stars in their prime were coming to MLS. But besides the influx in world talent, the MLS brand became international and, more importantly, Americans turned to the sport once more. And this happened at the right time because new cities started to sign up to be MLS hosts. Enter Toronto FC, the first Canadian team in MLS and a first in the world, then followed the return of the San Jose Earthquakes. Next came additions to Seattle and Philadelphia, which had pursued a franchise for a long time. Finally, the Pacific Northwest entered the picture with Portland and Vancouver, and eventually Montreal. With the new teams came a new type of audience. They were there to see the players but they were also there to enjoy the sport. Seattle and Portland have yet to have a non-sellout in their brief history. Player academies started popping up, encouraging young talent that eventually led to a successful Gold Cup 2007, Confederations Cup 2009, and World Cup 2010. It also led to players such as Altidore, Stuart Holden, Sacha Kljestan, Eddie Johnson to jump to European teams. But are these developments really due to Beckham. Partially, yes. The influx of media coverage, attention, sponsors, expansion money, allowed for the erection of new stadiums in major markets such as New York, as well as classic MLS teams like Houston, Kansas City, Colorado and mid-decade expansion team Salt Lake. Suddenly, new stadiums were full and money could be diverted to further player development, expansion of the DP field, and increased marketing. Finally, let's remember that new web pages were added to the soccer internet traffic, including this very blog, and others like the now-defunct mls-rumors.net, and increased attention to professional blogs like Ives Galarcep's soccerbyives.net, Steve Goff's Washington Post page, among others. So, did the Beckham experiment work? Yes, but it depends on how you define it. Bigger league, bigger names, better players such as Thierry Henry and Rafa Marquez, new venues, international attention, increases in player pool for the national team. And goals from Becks' signature free kick. Who doesn't like that? So now, with word that Beckham will play his last LA Galaxy game in next month's MLS Cup final versus Houston, the league is ready to jump onto better things. Beckham is no longer necessary to fill stadiums, nor is his name a per-requisite for television coverage. The league is here to stay and with new rivalries that will keep the sport going for decades to come. So, thank you, David, for helping to grow our league and the sport in the United States.